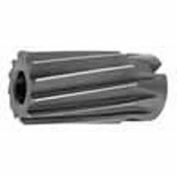 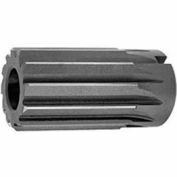 Import HSS Taper Shank Straight Flute Bridge Reamer 5/16"
Import HSS Taper Shank Straight Flute Bridge Reamer 13/32"
Import HSS Taper Shank Straight Flute Bridge Reamer 11/32"
High Speed Steel TMX Taper Shank Bridge Reamers are designed for sever applications where precision reaming is not required . 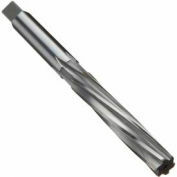 HSS Taper Shank Left Hand Helix, Right Hand Cut TMX Bridge Reamer, 5 Flutes, 13/32" major diameter with 7/32" approx diameter at point x 4-3/8" flute length x 8-1/4" overall length (OAL) with # 2 MT shank. 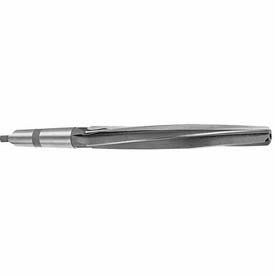 Import HSS Taper Shank Straight Flute Bridge Reamer 15/32"